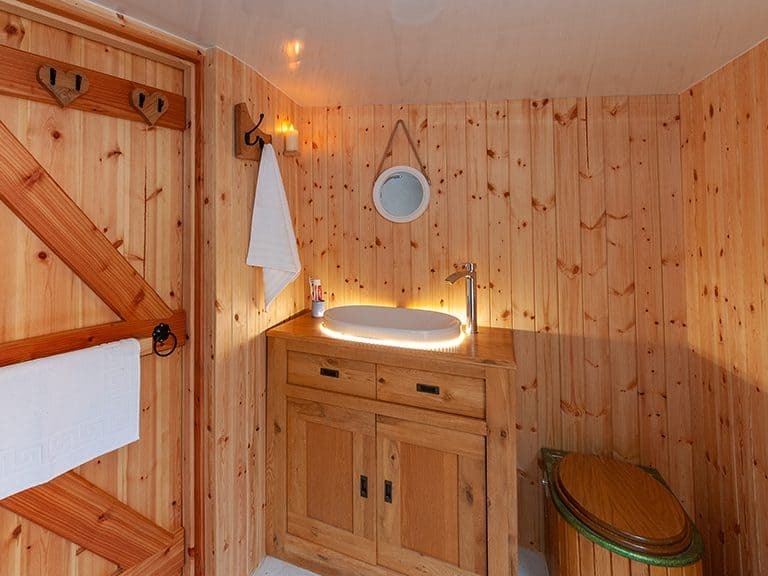 With stunning views (and a hot tub! 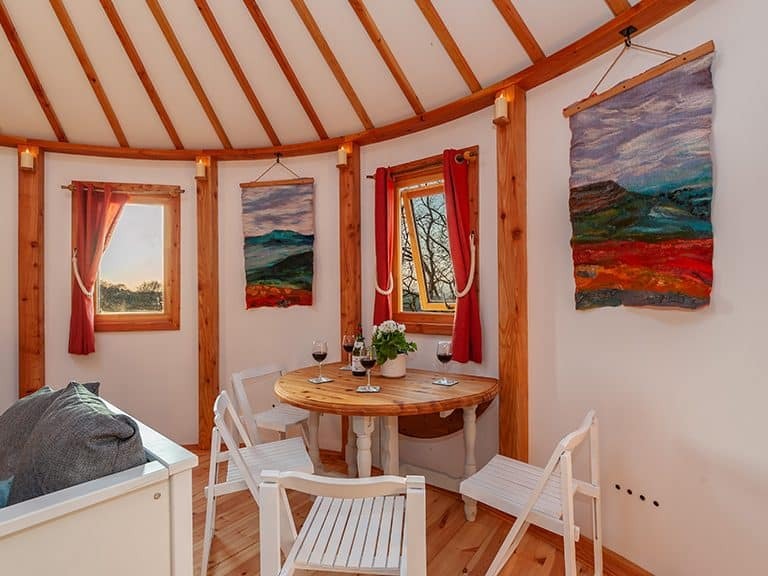 ), we aim to give guests a unique and sustainable roundhouse glamping experience that rests, relaxes and inspires. 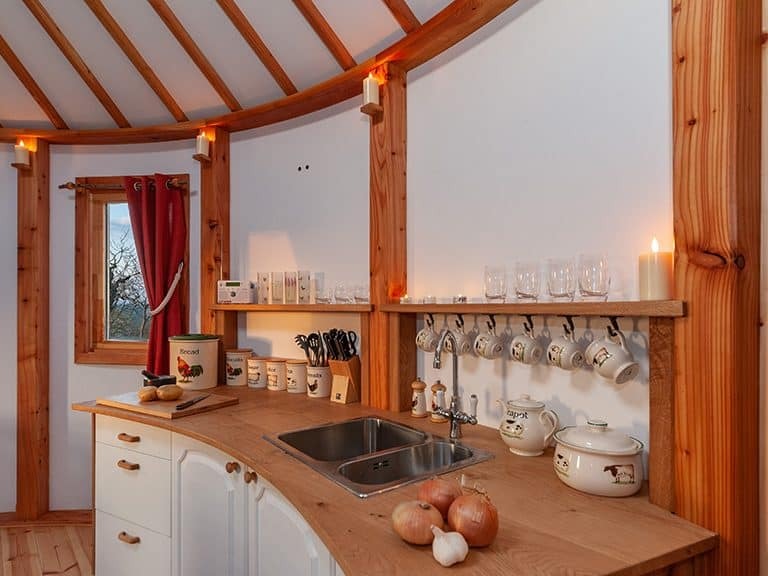 – Unique off-grid roundhouse accommodation on a Lakeland farm for up to 4 people. 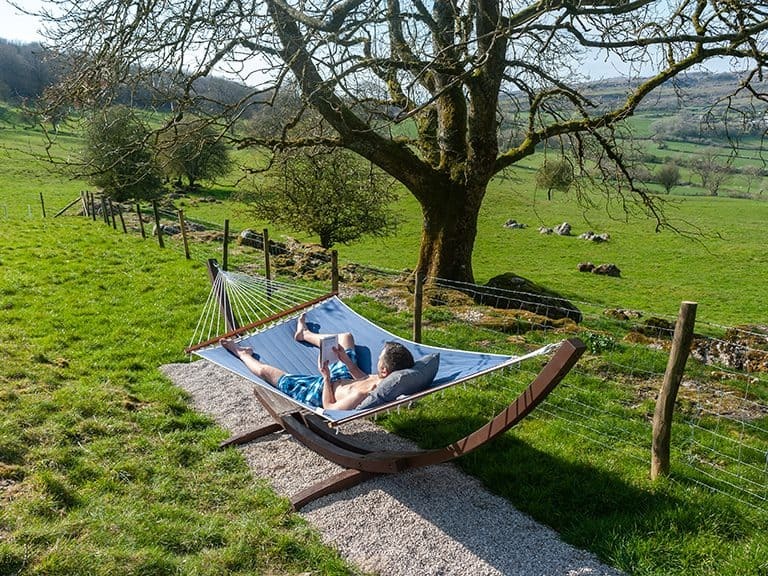 – Spectacular views of the Lake District fells, Yorkshire Dales & Morecambe Bay. – Direct access to Hutton Roof Crags, a SSSI. 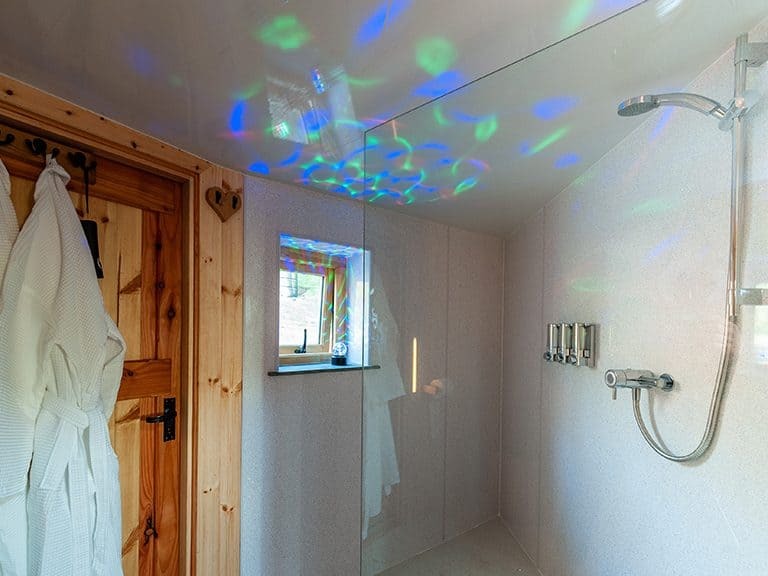 – All facilities on site and undercover – no midnight dashes to the toilet in the rain or long walks to wash up! – Quad bike transfer to the Roundhouse on arrival (after 17:00) and departure (between 12:30 & 13:00). Alternative times may be possible. – Comprehensive information and advice about the local area and recommendations of places to see & things to do. There’s a badger set nearby, farm animals all around and thus it’s a place just for people. Children are welcome to stay but the Roundhouse isn’t really suitable for under 5s due to access & facilities – please contact us to discuss. 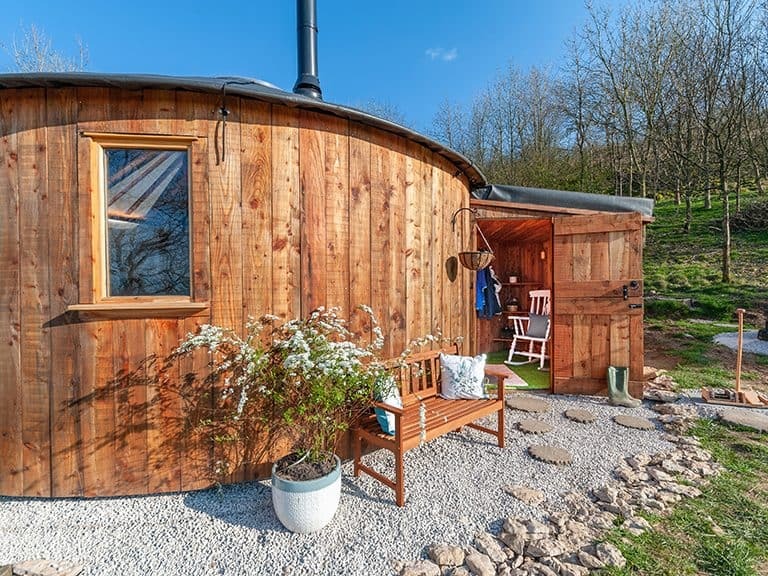 Fron Farm Yurts handmade our Roundhouse from sustainable Welsh larch. We’ve recently being making the finishing touches and it’s now ready to book! 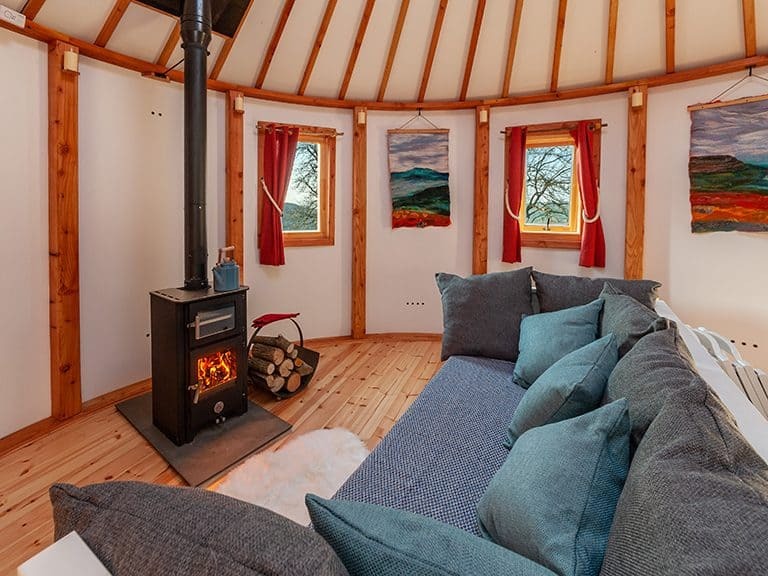 – Roundhouse living space including kitchen facilities, sofa/ day bed, dining table, chairs, a wood burner stove and three windows. 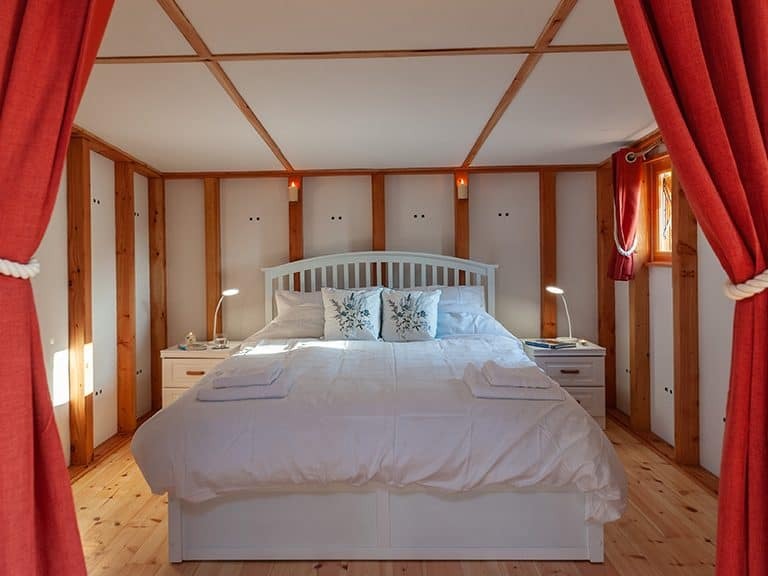 – Bedroom extension with a king sized bed, bedside tables and a curtain separating the bedroom from the living space. 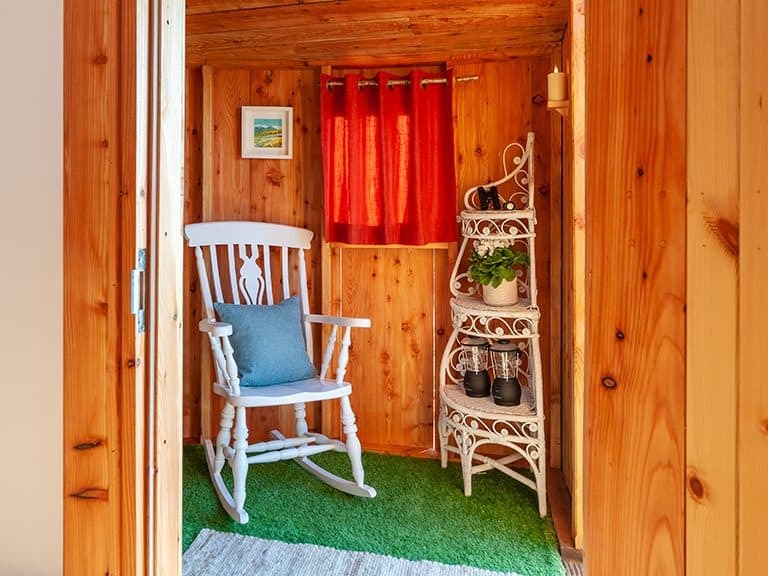 – Bathroom extension with a shower, compost loo, sink and door to the outside decking. – Outdoor wood-fired hot tub. 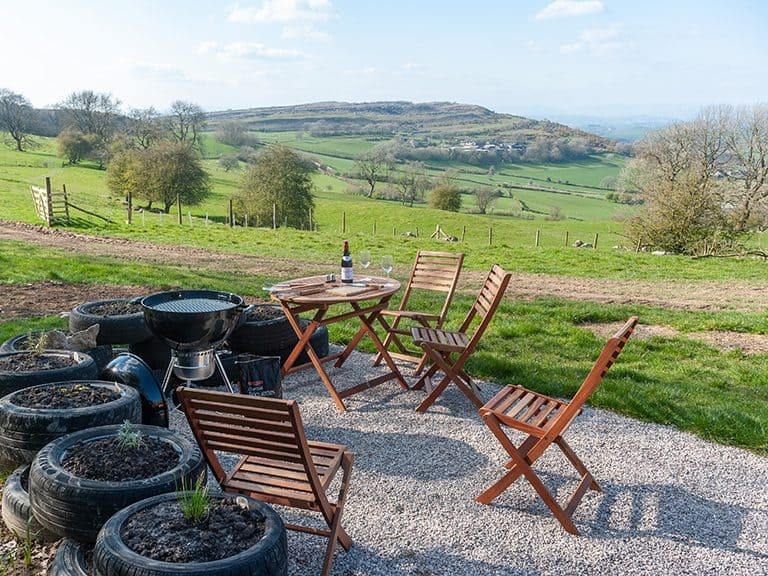 – Fire pit, BBQ and a picnic bench for outdoor dining & relaxing. – Herb planters and a mini allotment – we have also planted fruit trees and edible hedges. – All bedding, towels, toiletries (shower gel, shampoo, conditioner, soap & toilet roll) and cleaning products (e.g. washing up liquid) is provided. – There is all you need for a lovely breakfast/brunch, including bread, jam and Whin Yeats Farm eggs & cheese. We provide a range of tea bags, coffee and Whin Yeats milk. – All the other little things you may need & that make a holiday special are available to use – e.g. torches, binoculars, maps, guidebooks, books, games, umbrellas, fresh herbs and kitchen store cupboard essentials, for example, sugar, salt and pepper, ketchup, HP sauce, butter and olive oil. 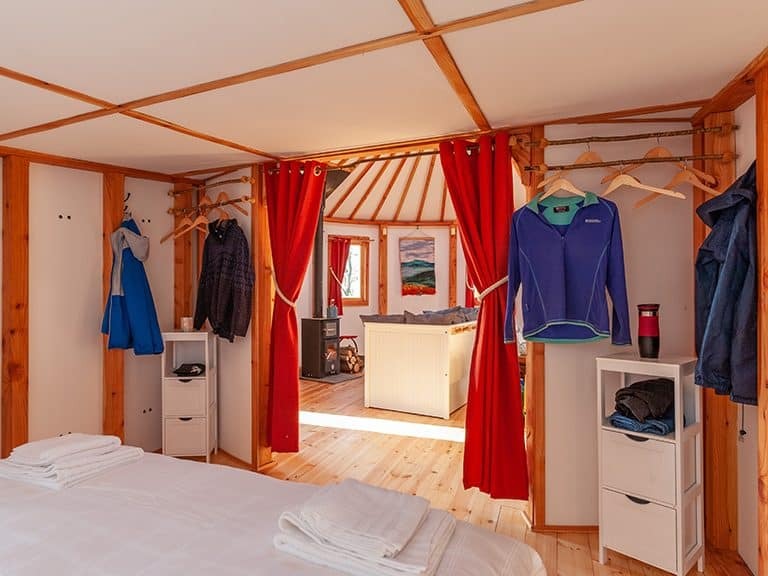 We couldn’t provide the privacy and tranquillity we’re offering without guests having a 10-minute walk to the Roundhouse. We can transport you & your luggage via quad bike on arrival after 17:00 and between 12:30 & 13:00 on departure – all part of the experience! Alternative times may be possible, please contact us to discuss. A wheelbarrow will also be provided to help with moving any luggage, food etc. You will need outdoors footwear, for example wellies and walking boots, as the path to the Roundhouse is uneven, through agricultural fields and woodland. – A camera – the views are fantastic! – Any food & drink you would like to bring. Alternatively, the essentials provided will be enough for breakfast/brunch, and you can pick up additional items during your visit. Some supermarkets deliver to the area – if you would like to arrange a delivery, please contact us to discuss. – The willingness to switch off and enjoy this beautiful setting! Additional cheese, eggs and raw milk are available from Whin Yeats Farm at all times.